I'm using GPG on my microsoftoutlook email. All encrypted attachments are decrypting automatically without prompting me to put in my private key. From what I understand you are complaining about not being asked for the password for your OpenPGP key when decrypting an email in Mail.app? 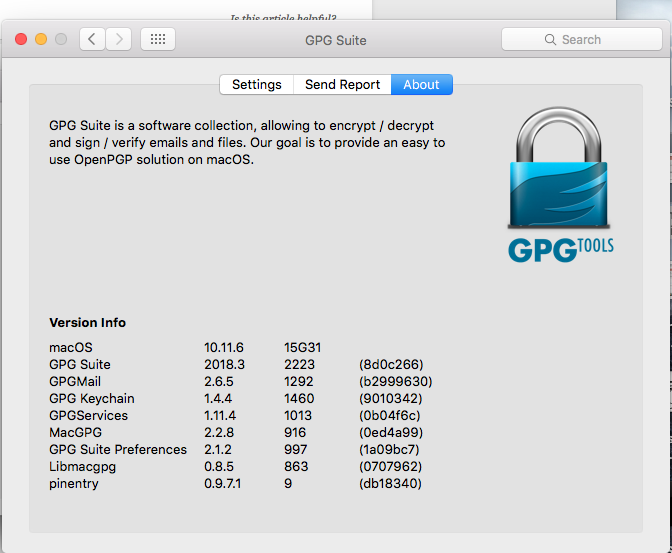 When that happens it can have two reasons: either your OpenPGP password is stored in macOS keychain or a certain caching timing may be at work. Please see this KB-article on how to manage passwords for your keys. The article also has details how to remove your password from macOS keychain. Steve closed this discussion on 17 Nov, 2018 06:36 PM.